We don't need to remind you how awesome the W108 Mercedes-Benz is...do we? Consider this a reminder that there was a time when the tri-point insignia was synonymous with quality, class and luxury - not the crackerjack-box-prize, latest market buzzword chasing appliances it now symbolizes. 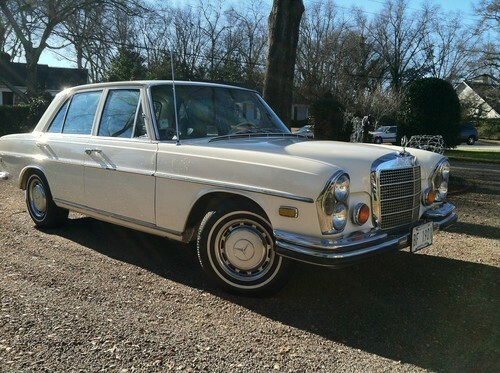 This stately 1971 Mercedes-Benz 280SE with 4-speed manual transmission is for sale in Greenville, SC and currently bidding on ebay at $3,050 reserve-not-met with 5 days to go. This 280SE looks fantastic in its original white (or is that Irovy?) paint. We have driven modern Mercs and they do drive/ride/go quite nicely, but get in a 10 year old example and they are just falling apart when compared to a 30 year old example. 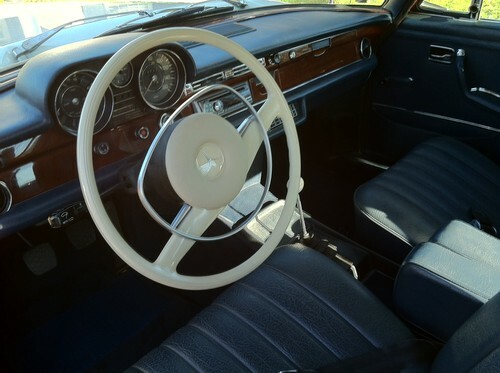 The inside of this Mercedes is yet another testament to the build quality of the older Benzes. Four on the floor is a real treat and not often seen on this side of the Atlantic. We'd pick the 4-spd with inline 6 over a 4.5 V8 equipped version any day of the week. Don't be fooled by the 4.5 tag (or lack of engine bay pictures) on this W108 - a quick check of the vin tag details shows it left the factory with a fuel injected 2.8 liter M130 inline 6. 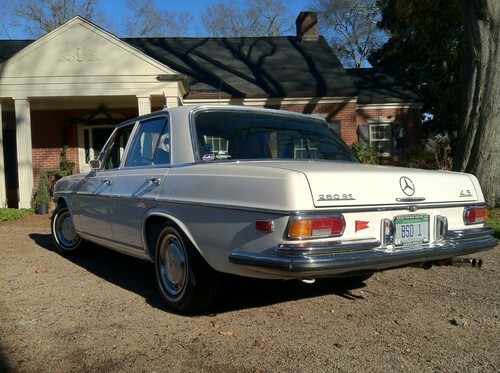 ~ 4-speed manual transmission really makes this unit desirable. very curious what reserve will be. click watch item.